Alsco offer high-quality products and service around China from several companies and branches. Each of these businesses specialises in providing excellent customer service, reliable support, prompt delivery and knowledgeable service. 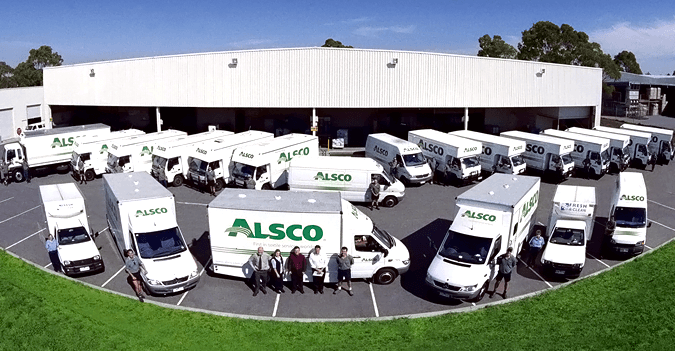 Alsco Australia is one of Australia’s leading providers of tailored, rental solutions for healthy, safe and green workplaces. Alsco provides each of its customers with regular service schedules, high quality products and friendly customer support. Our dedication to providing you with a service that is reliable and cost-effective. 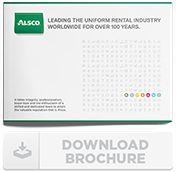 Alsco Thailand is the first provider of managed rental service in the country. Offers high-quality range of workwear and floor mats that are cost-effective rental plan. We emphasize on being customer-centric as the only driving force towards our goal to provide every working individual with world-class service. Alsco Malaysia is currently providing a peerless and cost-effective rental services to Malaysian businesses. It is our mission to be Malaysia’s first choice for garment and floorcare rental services. Alsco has been providing textile rental services for over one hundred years, and can bring this expertise to your business. Alsco Singapore have established an extensive network of service routes to reach out to all customers island-wide. This enables customers to enjoy regular and reliable services regardless of size or distance from our services. We design a program tailored to your business needs, based on a thorough assessment of your workplace. Alsco’s Managed First Aid Service is the answer to all your workplace safety and WH&S compliance needs. Helping save lives and save vision. We build safer workplaces along with regular service schedules, high-quality products and friendly customer service. From a free audit to efficient regular servicing of your first aid kits with hospital-grade supplies. Alsco’s Managed Training Service manages your first aid training, your records and your costs. We are a Registered Training Organisation providing First Aid and Fire and Warden Training. We provide an online tool that makes record keeping quick and simple making WH&S compliance easier for you. Fresh & Clean provides tailor made, high quality solutions for clean, hygienic washrooms at your workplace. We implement a comprehensive, workplace-wide solution to keep your spaces hygienic. We aim to provide each of our customers with friendly customer service along with hassle free, cost–effective solutions for a healthy and safe workplace. Alsco New Zealand (formerly known as NZTS) leads the New Zealand textile rental market. The company provides uniform, garment and dust control rental as well as continuous cloth towel and other washroom services to industry and commerce. It also provides linen rental services to hotels, restaurants and the healthcare industry. The Alsco’s EcoSafe Washer helps clean greasy automotive and machinery parts without harming staff or the environment. Available at fixed monthly rentals with no outlay for capital, this portable, easy-to-use washer uses no harmful chemicals, produces no fumes or toxic waste. We make green auto shops and garages a reality. Australian Linen Supply (ALS) imports and provides an extensive range of linen supply for the hospitality and healthcare sectors. A single stop shop with a wide variety of bath, bed and table linen to meet the different requirements of the hospitality industry. High quality linen designed to be laundered in commercial laundries. CRG BioShield®75 is more than just an ordinary disinfectant. It is an anti-microbial spray that inhibits the growth of micro-organisms on any surface. It lasts much longer than others and is safer too. Providing you a healthier, safer, longer-lasting protection against disease causing germs and micro-organisms. Clean Room Garments provides cutting edge specialist solutions for contamination control requirements. We aim to offer a complete solution to your contamination and infection control needs using our high tech facilities, experienced, reliable personnel and our quest for quality and excellence. Alsco New Zealand is the leading provider of cost effective, hassle-free solutions for a healthy, clean and green New Zealand workplace. From crisp hospitality linen, smart industrial uniforms, first – aid kits, mats and washroom hygiene services, Alsco New Zealand has the solution for your workplace. Deane Apparel is one of Australasia’s leading supplier of smart, stylish corporate wear and industrial uniforms with a host of safety features. We aim to provide innovative, contemporary, stylish and durable workwear solutions in the every workplace. Every Deane garment is made to the highest quality standards. Alsco acquired Fremantle Steam Laundry in 2010. Since that time the Alsco Perth branch have been proudly supplying high quality food & beverage linen, washroom, first aid and workwear services to hotels, cafes, restaurants, offices and manufacturing businesses in the Fremantle region. Confident Care Products is a reputable company and known for its good, reliable and environmentally friendly products. They offer a variety of products made with good quality materials designed and manufactured to the strictest standards to ensure consistency is achieved and our customers are continually satisfied. Bev Martin Textiles business was established in the early part of the 1980’s, servicing a small group of hospitality companies within metro Sydney. A well-recognized supplier of quality commercial linen, now servicing the hospitality market throughout Australia. We are able to manufacture a small amount of custom made linen in house to meet our client’s requirements. From our first door-to-door delivery by horse-drawn cart in Lincoln, Nebraska to the modern precision technology required for today’s highest grade medical garments, Alsco has over a century of business experience to provide customers with service from over 150 locations globally. We look forward to serving you, wherever your business may be.